A man from Connecticut died when a small plane crashed Saturday in the water off the coast of the Hamptons, officials said. The twin-engine Piper PA-34 plane carrying three people went down in the waters off of Quogue around 11:40 a.m., the U.S. Coast Guard said. A surfer witnessed the crash. Rescuers recovered the body of Raj Persaud, 41, of Waterbury, Connecticut, from the water hours later, New York State Police said. As of Sunday morning, search crews were using sonar to map the sea floor in an effort to locate the two missing people, Coast Guard Petty Officer Steve Strohmaier said. The plane originally departed from the Waterbury-Oxford Airport, then went to Danbury, Connecticut, the Connecticut Airport Authority said. The plane took off from Danbury and then crashed near the Hamptons. The plane was headed for Charleston, South Carolina, the FAA said. The site of the crash is three miles southeast of the Francis S. Gabreski Airport in Westhampton Beach when it crashed, the FAA said. 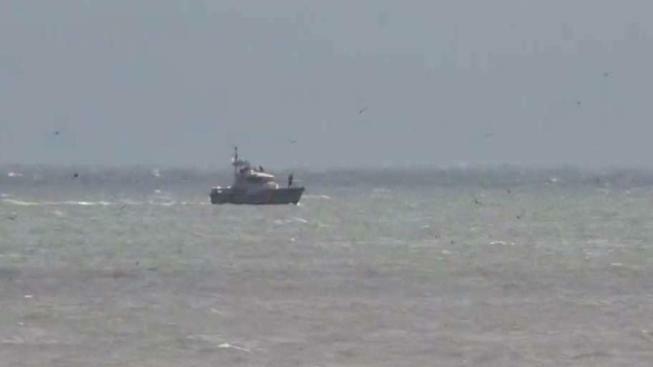 Emergency personnel were responding to the site of the crash, which was one or two nautical miles south of the beach,. Debris could be seen in the water from Suffolk County. It was a rainy morning as a weak weather disturbance moved through the area. It wasn't immediately clear whether rain was a factor in the crash.